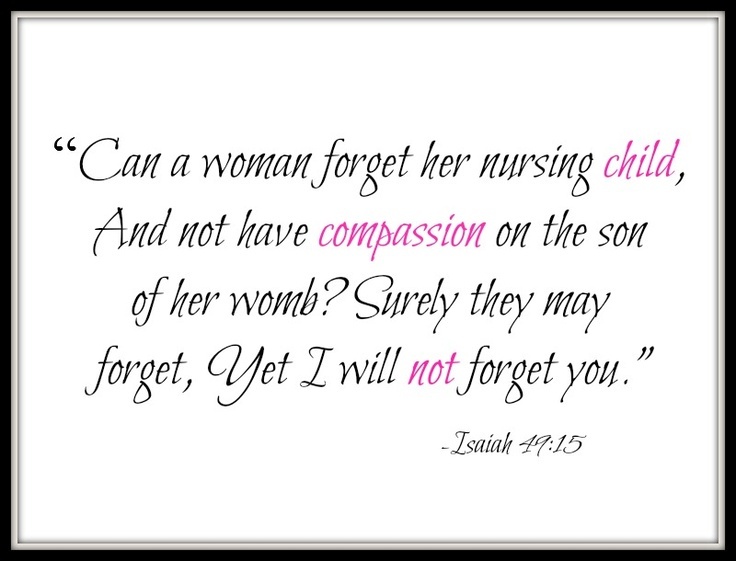 I cannot forget you, says the LORD. You are My creation, and I have made you My own beloved child, because you have believed in the finished work on the cross and My shed blood for you. When you received Me, I received you. When you come to Me, I will never cast you out. You are greatly valued by Me, greatly beloved, and YOU BELONG to ME. I purchased you with a great price, and saw what you would become: not a sinner or foreigner, but my beloved child. You will never be forsaken and you have been given a special place of honor in My presence, says the LORD. Do not forget about Me, says the LORD. I have blessed you and have been your constant companion from the moment of your birth. I hear your faintest cry and know every need that you have. Your thoughts are known by Me. Remember Me and think upon Me, and be thankful for all I Am. I will keep you in the palm of My hands, and guide you continually, as you REMEMBER ME as your Savior, Redeemer and Lord of your life. You will not be without help, and My grace will always be sufficient and abundant for you, says the LORD. Thank You Jesus! Never ever let go of me Lord! Hallelujah and Amen! Praise you, Lord, for your GRACE & continuing LOVING CARE!! HALLELUJAH & AMEN again & again!!! THANK YOU MY FAITHFUL FATHER GOD, FOR LOVING ME & MY LOVED ONES SO MUCH & ACCEPTING US AS YOUR CHILDREN, AMEN AND AMEN!